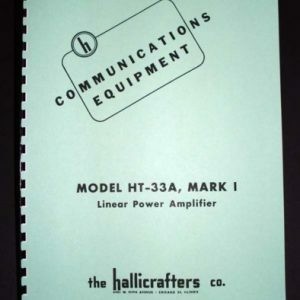 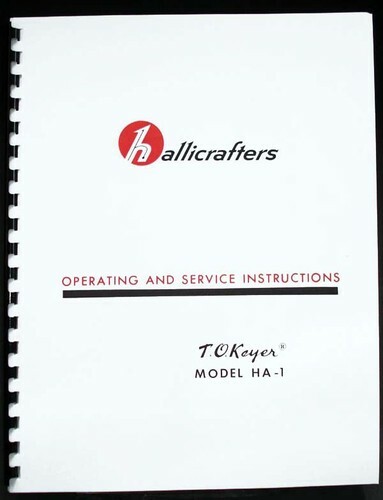 For sale is reprint of Hallicrafters Model HA-1 Keyer Manual. 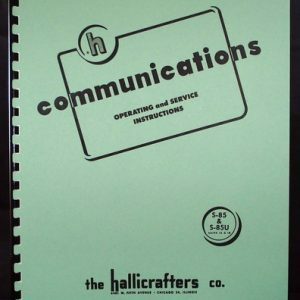 Manual is 12 pages long and includes part list and 11×17″ foldout of circuit diagram. 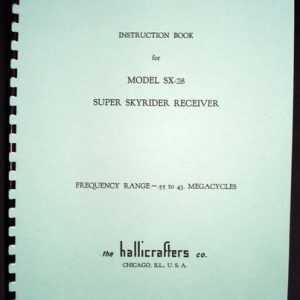 Chapters of manual include: General Description, Specifications, Installation, Functions of Operating Controls, Operation, Theory of operation, Service Data. 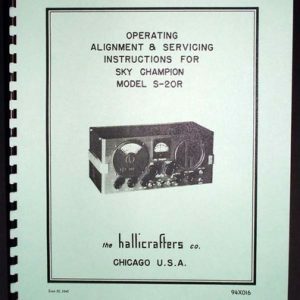 Manual includes tube socket voltage chart, must for troubleshooting.